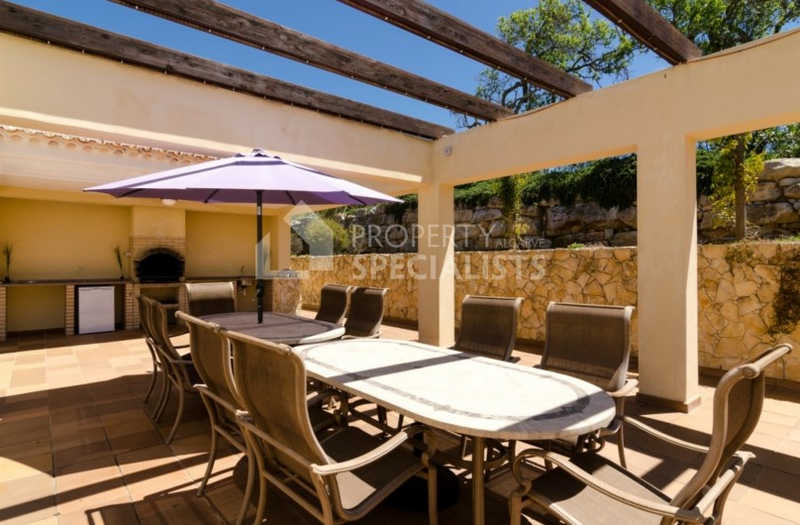 Unique 8 bedroom villa with indoor and outdoor heated swimming pools, gymnasium and games room, cinema, terraces and balconies, a self contained apartment and a fabulous wine cellar. Only 5 minutes away from the beach. 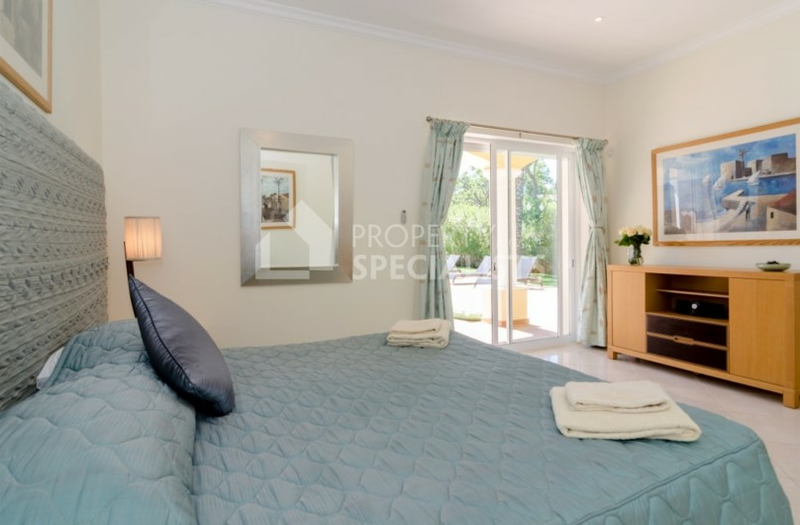 This stunning 8 bedroom and 5 bathroom villa is located in a peaceful area, only 5 minutes away from Praia da Luz beach, and with the vibrant city of Lagos only a short drive away. 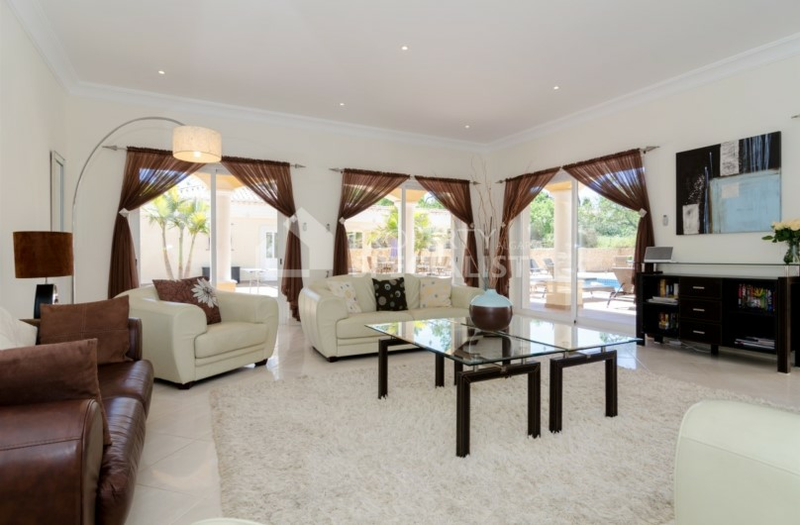 The villa is built to a high standard, featuring three floors, 8 bedrooms, air conditioning and central heating throughout the property. 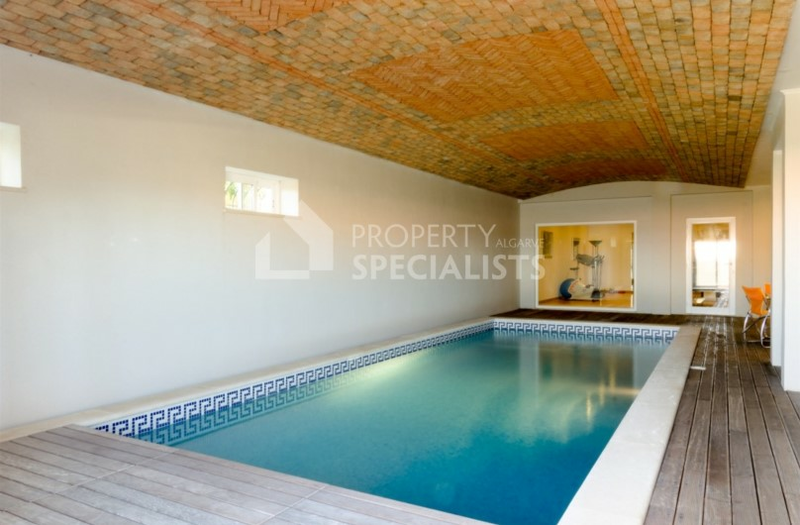 The features include indoor and outdoor heated swimming pools, where you can relax throughout the year, as well as various comfortable and sunny lounges and living rooms, private terraces and balconies, and BBQ area, making this the ideal property to enjoy the Portuguese sunshine. 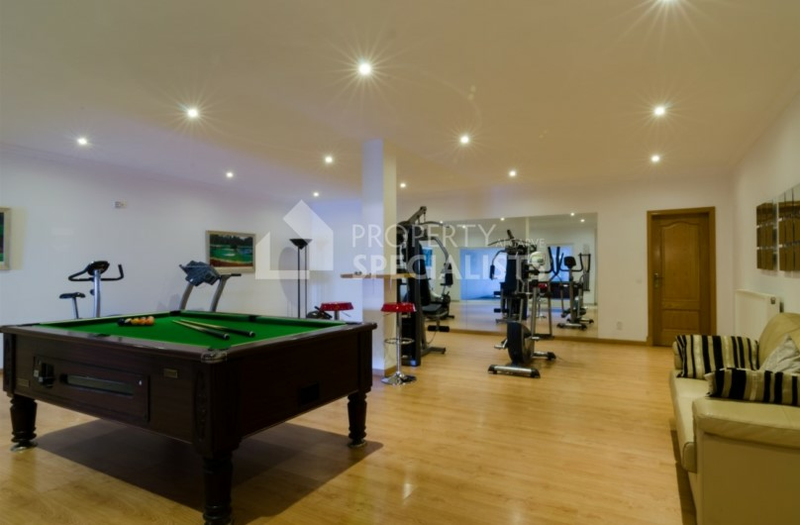 The basement area is divided into a 2 bedroom apartment, indoor pool, gymnasium and games room, cinema, equipped laundry room, and an extra bedroom and bathroom. 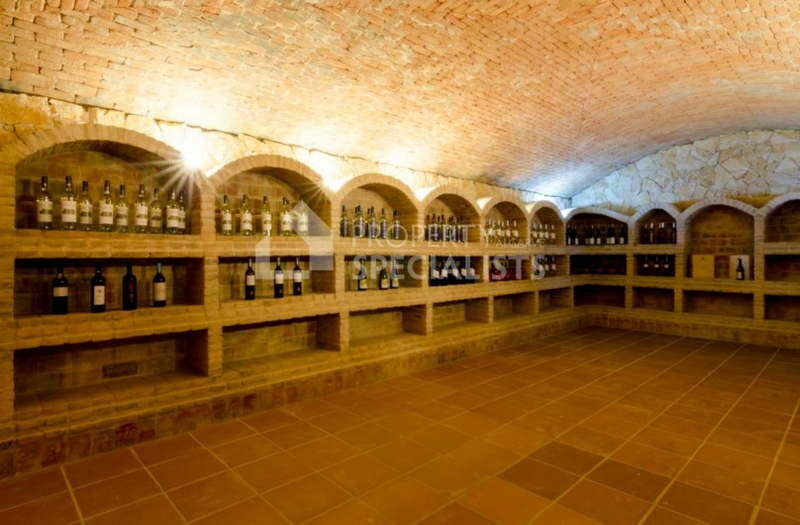 This gorgeous villa also offers a fabulous wine cellar, which makes a perfect party room to entertain your guests and family. 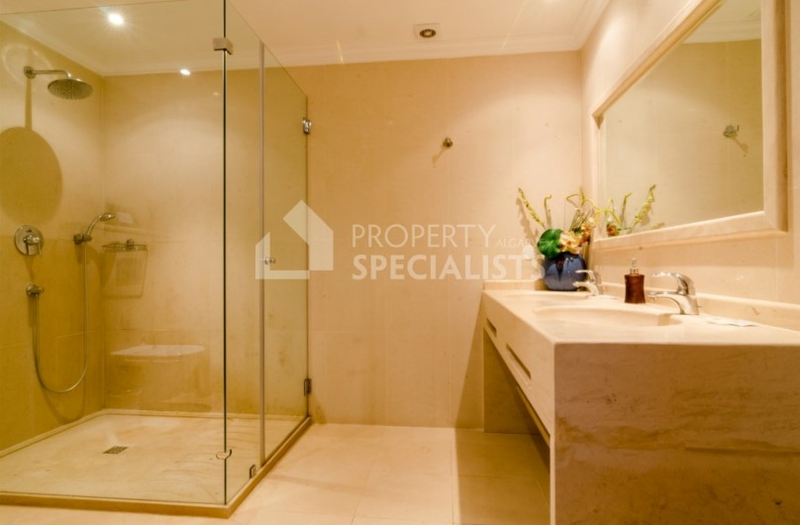 On the ground floor there is one bedroom, and the top features four bedrooms. 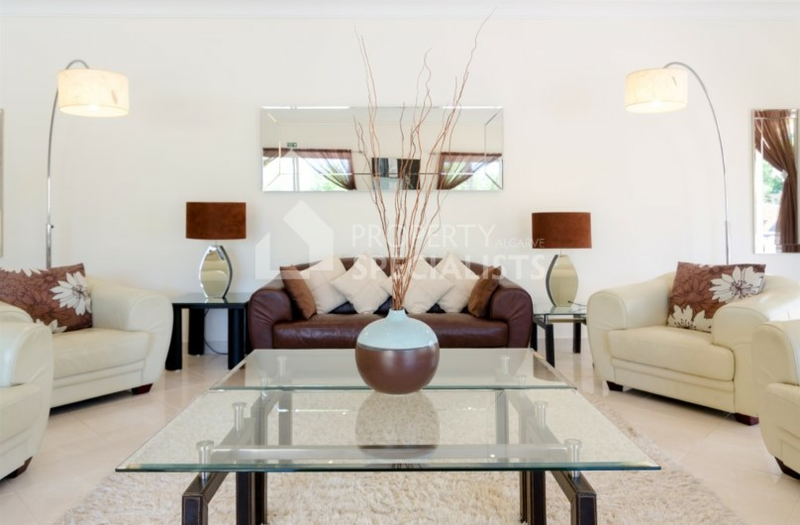 Tastefully decorated and greatly maintained, the house offers large outdoor space, with a landscaped garden and grown trees. 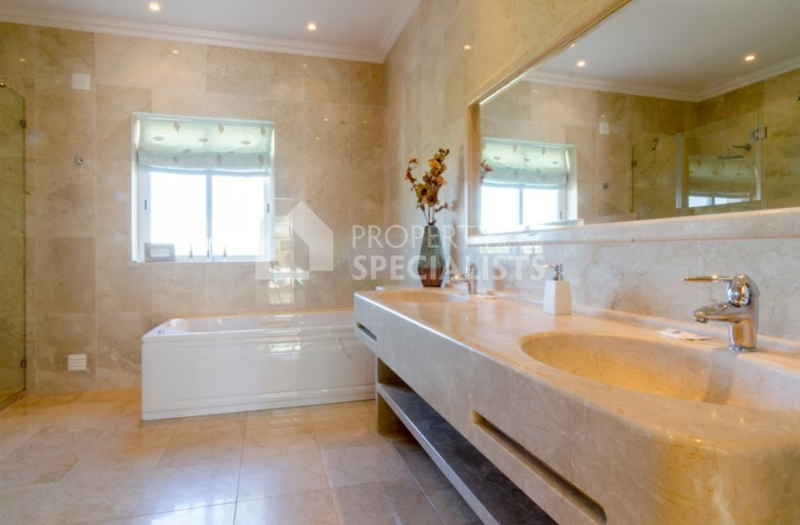 Both inside and out, the design and attention to detail is of the highest calibre. The house is surrounded by amazing gardens and trees, as well as outdoor parking and closed garages with enough space for more than six cars. 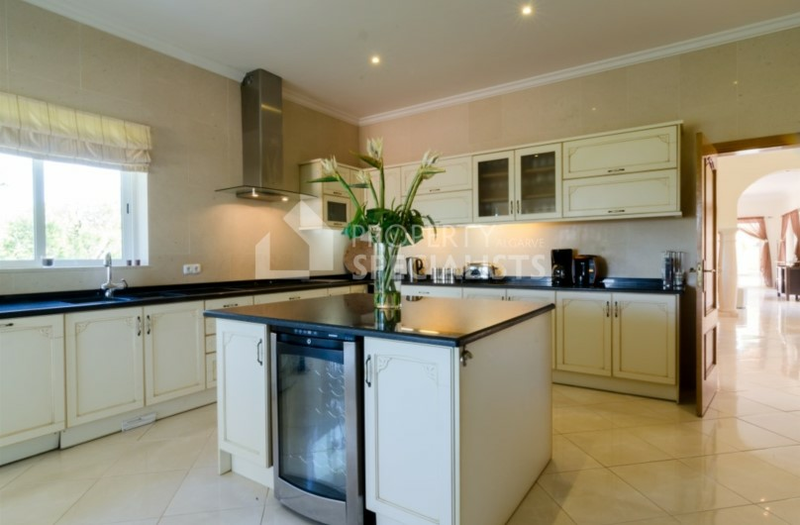 It is the ideal property for a permanent home, or as a holiday rental home. 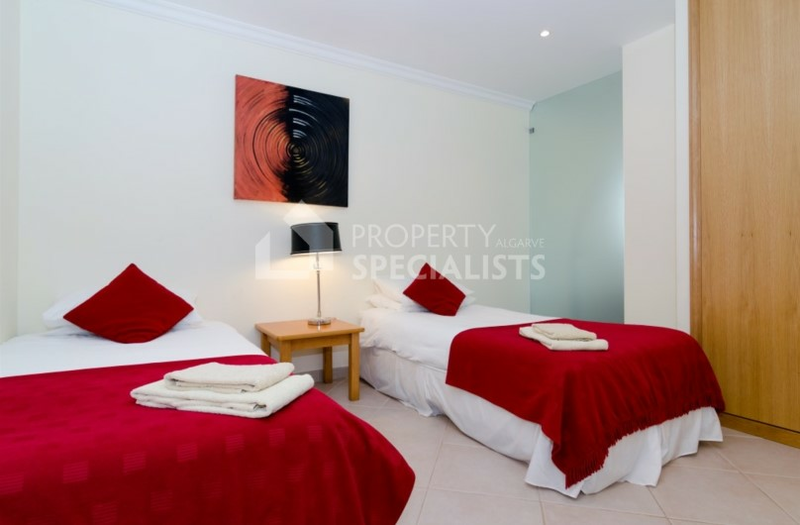 Praia da Luz features a beautiful beach and promenade, with an array of great restaurants, cafes and all of the day-to-day amenities close by. 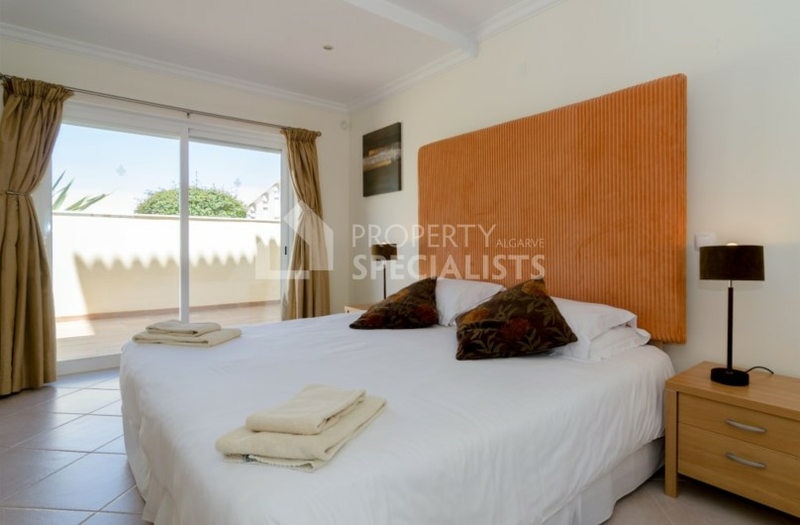 The vibrant town of Lagos is just 10 minutes drive away, with a lively and historic town centre, breathtaking beaches, supermarkets, restaurants and Lagos marina. There is a fantastic clifftop walk in Ponta da Piedade, now designated an area of outstanding natural beauty, leading to Camilo beach and Dona Ana beach, voted best beach in the world by Conde Nast Traveller in 2013. The A22 motorway is easily accessible in under 15 minutes. For golf lovers there are great courses on your doorstep such as Boavista, Espiche with the renowned beautiful Gecko Restaurant, plus Santo Antonio, Pestana and Penina. Close by is the stunning Vivenda Miranda and 5 star Cascade Hotels with dining, bars, spas and tennis courts. 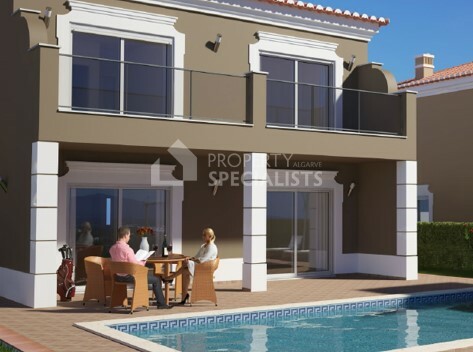 Golf Lovers Heaven - these Algarve villas are now under construction and situated overlooking the 4th Fairway of this popular golf course in Lagos. 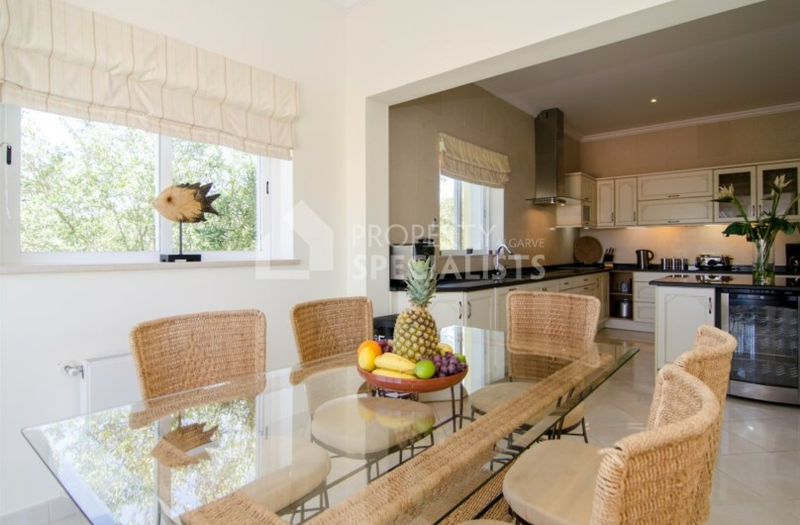 Ideally located a short drive to the beaches, town centre and the Marina. 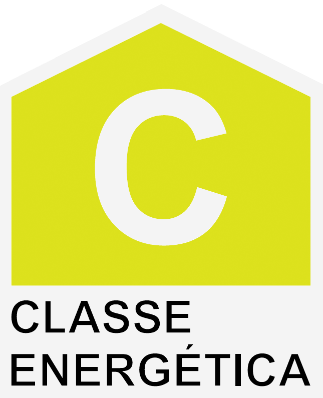 Stunning architect designed 3 bedroom modern villa for sale in Lagos, with elevated position in Porto de Mos and sea views. 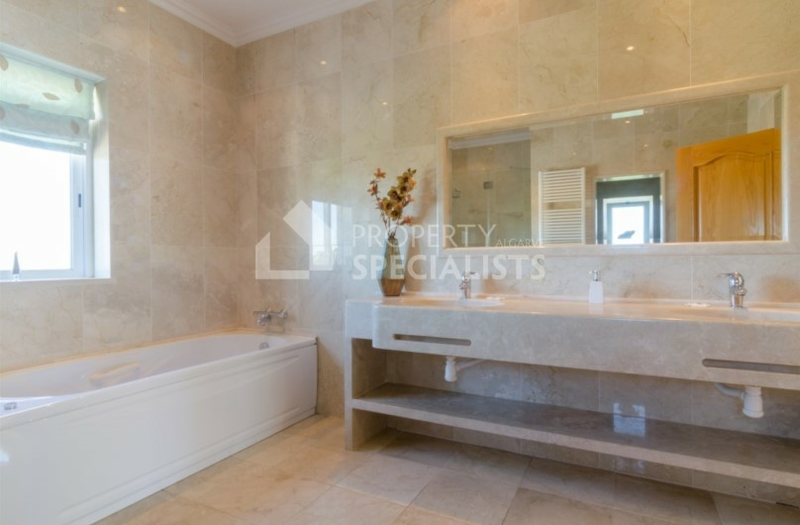 Brand new high specification build. 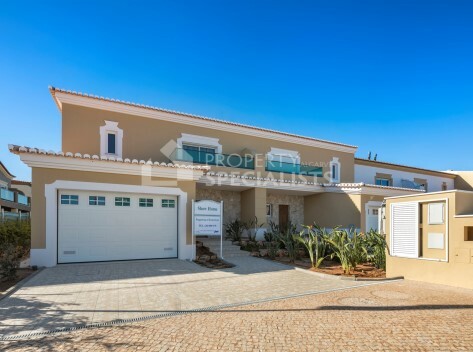 Last remaining villa is this show house for sale with panoramic golf views, a private garden, garage and optional private pool. 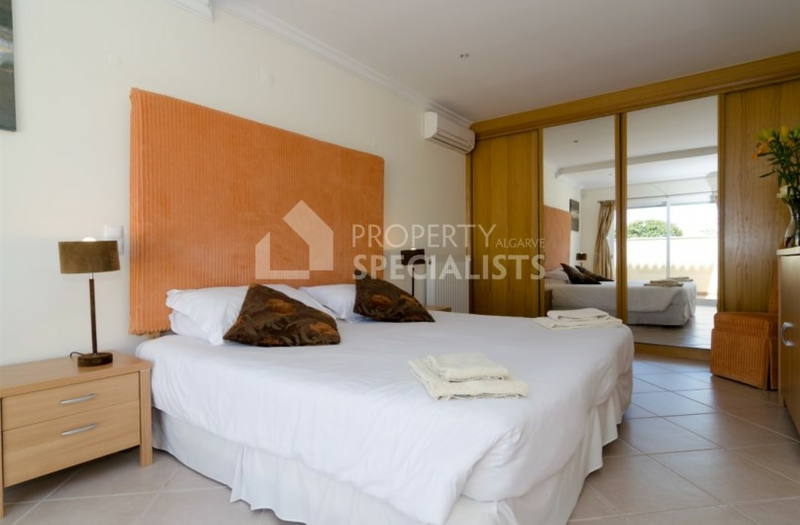 A few minutes by car from Lagos town centre, Porto de Mos and Praia da Luz.